1. Amy inspires both the right and left-brained people in the room. Amy is unique as a speaker as she can motivate everyone in your audience -- from those who are scientific and numbers-oriented to those who are artistic and intuitive, and everyone in between. That’s because Amy is a dynamic mix of yin and yang herself. Not only is she an accomplished CPA, tech executive and entrepreneur, but she’s a yoga instructor, studio owner and author. Drawing upon the unique combination of her 25-plus years of work-life lessons and thousands of hours as a CPA helping business leaders be successful, Amy inspires audiences to identify their purpose and mission in life in order to align it with the work they do. From healthcare and consumer beauty products to mortgage and financial advisory services, Amy regularly speaks at a variety of industry events. She puts the time in upfront to research and customizes her presentation and language for maximum audience impact. Her personable style puts audiences at ease and is relatable to both men and women. Amy regularly updates her presentations to reflect the cutting-edge, trending topics affecting many industries today such as artificial intelligence, machine learning and the future of work. Amy can relate to and inspire both the corporate executives and entrepreneurs in the room. That’s because she’s held a variety of corporate leadership roles overseeing customer, sales, education, and marketing functions. Yet, entrepreneurship is in her blood. Both her grandmother and mother were entrepreneurs and she grew up working in her family-owned business. Since then, Amy has launched and sold multiple businesses including accounting practices, yoga studios, and other business ventures She has spent thousands of hours as a CPA guiding business owners on how to make their companies more successful. Your audience will leave Amy’s talk or workshop inspired to transform their lives, businesses and careers. Attendees will come away with a better understanding of the latest trends, challenges and solutions, backed by scientific findings and research, on the chosen subject matter above. They will leave with actionable steps and go-to resourcesto create change in their work and life. 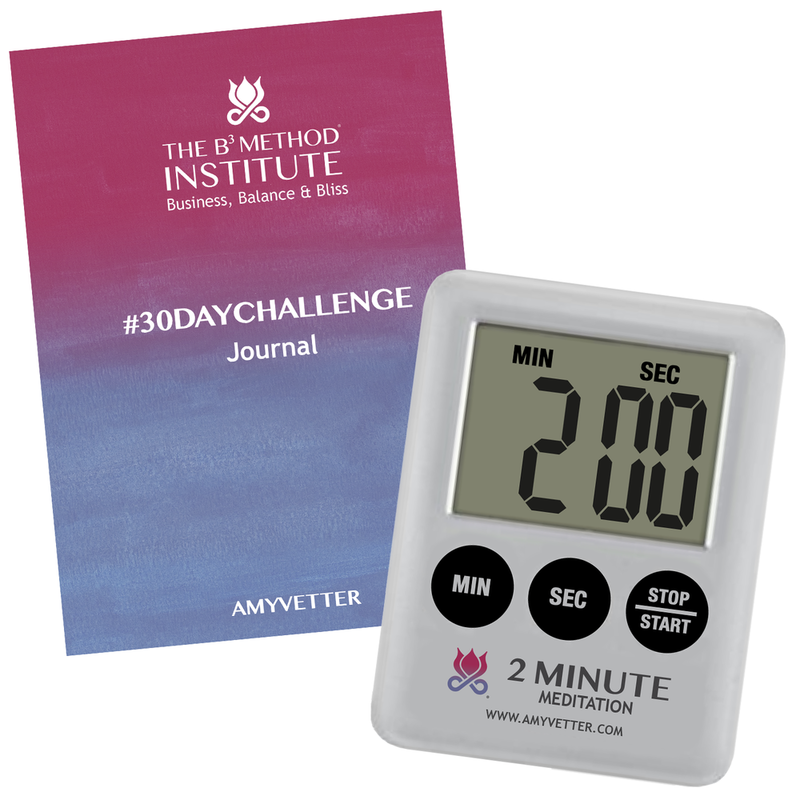 To further enhance your conference experience, Amy can also teach a yoga or meditation class to attendees in addition to her main talk or program, as well as offer 30-Day Journals or 2-Minute Meditation Timers as prizes or giveaways to all of your attendees. 6. Amy’s presentations are interactive, dynamic and beautifully designed. Amy creates customized presentations for your specific conference needs. Expect stunning visuals to inspire and educate your audience to draw them in from beginning to end. Additionally, presentations create an experience leveraging real-time interactive technology to allow the audience to participate, reinforce their learning and create personal action plans to make real change in their lives.